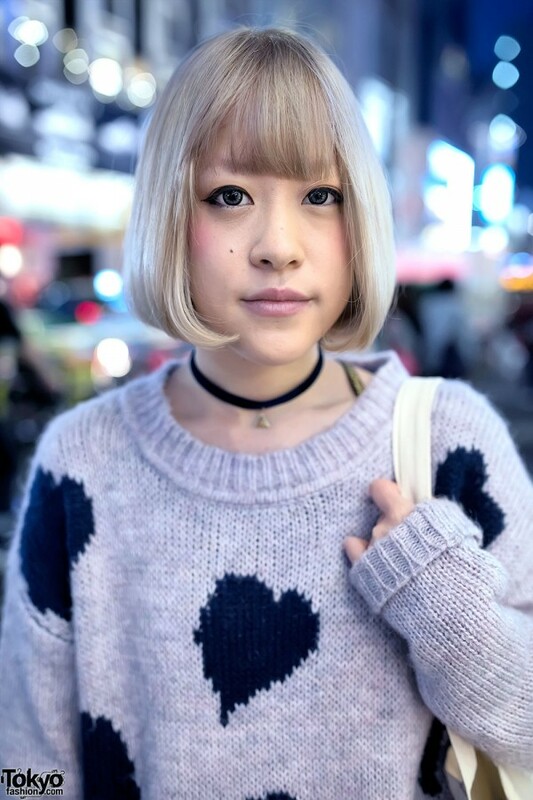 Harubo is a Japanese radio announcer who we met on the street in Harajuku. 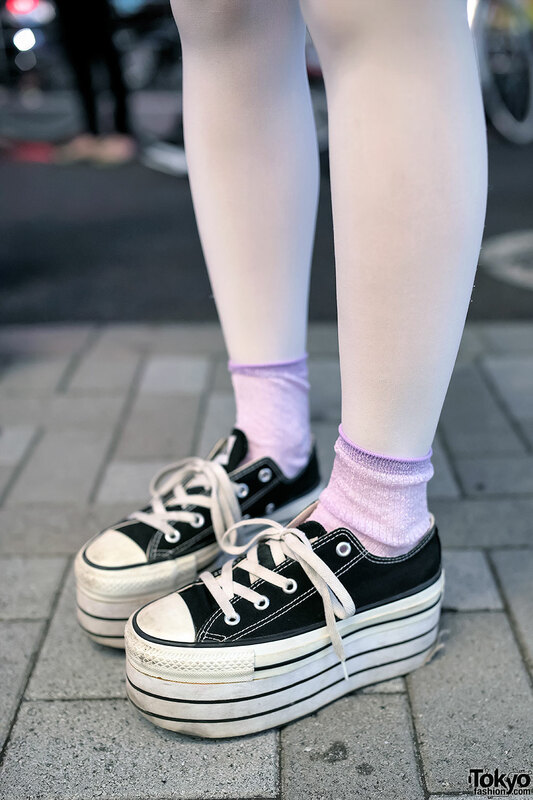 Her look features a heart print knit sweater dress from Jouetie with pastel socks and Nadia Harajuku platform Converse high tops. 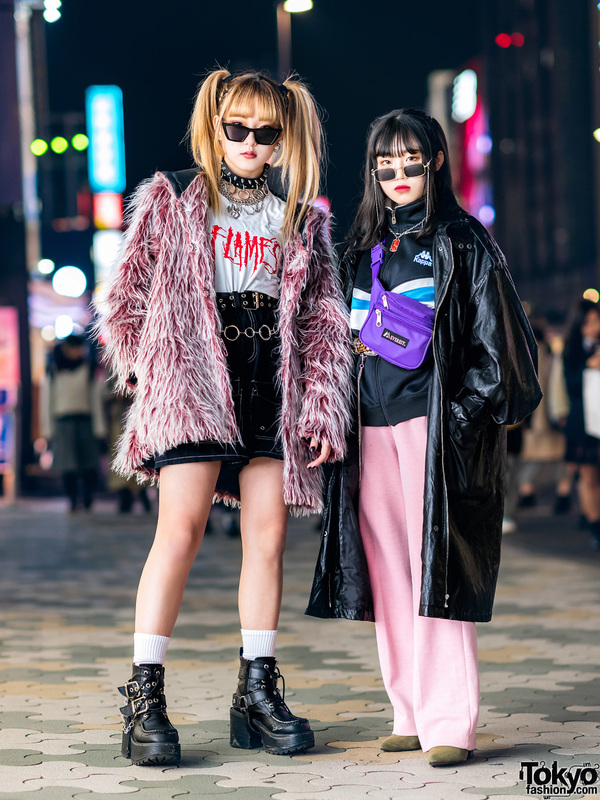 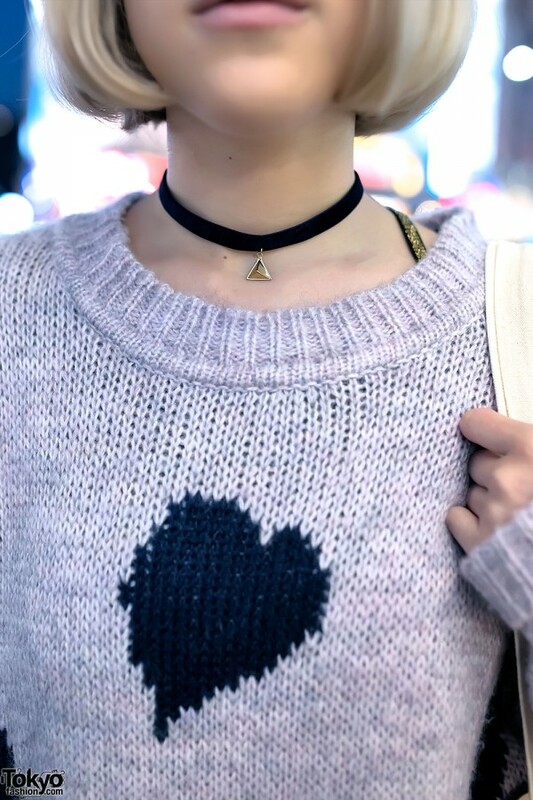 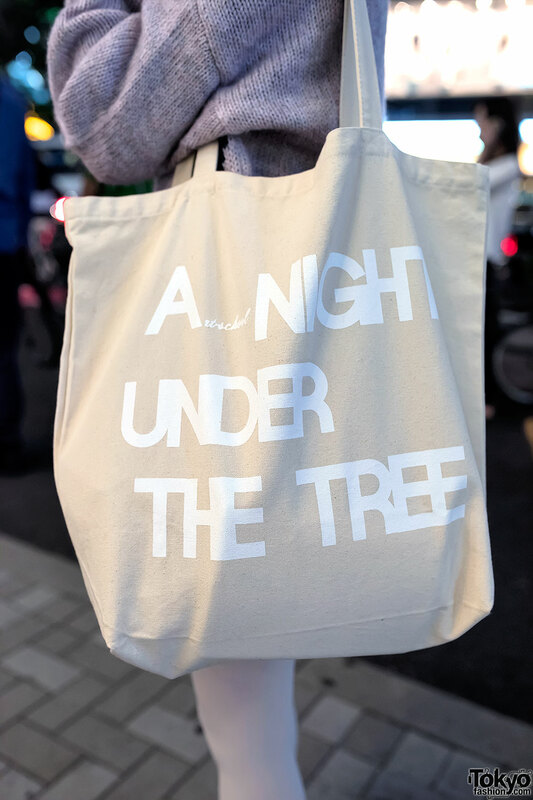 Accessories include a choker with a triangle charm and a tote bag from the Japanese indie rock back Art School. Harubo told us that her favorite bands include Art School and People in The Box.